Dental implants improve quality of life through enhanced technology. Implants are the closest prosthetic to natural teeth, offering a titanium root for a solid foundation. Additionally, speech is easier and clearer with a full set of teeth. Dental implants can replace single teeth or full dentures. Aesthetics Implants complete a smile with beautiful restorations that blend seamlessly with your natural teeth. You will experience the confidence that comes from a complete smile. Health With reliable dental implants, you can eat all the foods required in a healthy, balanced diet. Studies show that patients without teeth do not live as long as those with natural or prosthetic teeth. Implants: Permanent, Secure Tooth Replacements When permanent teeth are lost, regardless of the reason or number of teeth, dental implants can offer a new lease on life. They are superior to other choices because they are solid, secure, and aesthetic. After nearly 35 years of use, they have a 90-95% proven success rate in appropriately chosen cases.An implant is a special surgical grade titanium post, manufactured to highly precise specifications, under strict sterile conditions, that is inserted surgically into the jawbone below the gum surface. With proper use of the newest anesthetics and medications you need not be concerned about pain. As the bone bonds to the post, it forms a secure foundation onto which your new teeth are then attached and shaped to match your mouth. The number of teeth being replaced will determine the best kind of restoration for you. 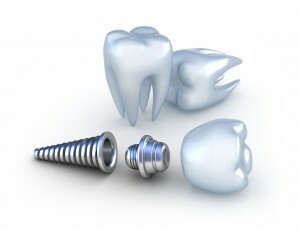 Implants can help replace a single tooth, or a full set of teeth. If you have been suffering with partial or full dentures, or are missing teeth, or feel you need teeth extracted, do not hesitate to call to be evaluated for implants. 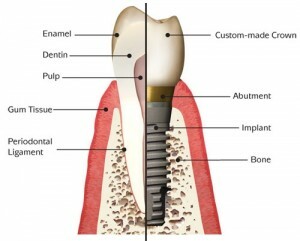 A dental implant is a titanium tooth root that takes the place of a natural tooth root. When a patient suffers from the loss of a tooth or several teeth, the placement of dental implants creates a new smile as strong as nature’s original work. Dr. Haghiri will surgically implant a titanium tooth root into your jawbone, and your body’s bone tissue will fuse with the titanium to create a solid, reliable prosthetic tooth root. On this, a handcrafted tooth is adhered so that you can enjoy the function, beauty, and health benefits of a solid and natural smile. If, like many others, you feel implant dentistry is the choice for you, we ask that you undergo a dental/ radiographic examination and health history. 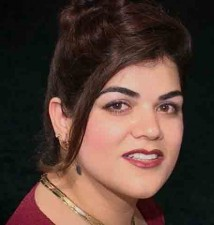 During these consultation visits, Dr. Haghiri will address your specific needs and considerations. Your questions and concerns are important to us and our team will work with you very closely to help make your procedure a success. We will also discuss fees and insurance at this time. There are many types of insurance plans, and coverage for implants vary. We will be happy to assist you in obtaining any benefits to which you may be entitled. After the implant has bonded to the jawbone, the second phase begins. Dr. Haghiri will uncover the implants and attach a small healing collar. After two weeks Dr. Haghiri will take an impression, then she attaches posts to the implants. The teeth replacements are then made over the posts or attachments. The entire procedure usually takes six to eight months, in some cases Less. Most patients do not experience any disruption in their daily life. Dr. Haghiri performs in-office dental implant surgery, optimizing highest level of sterility. Inpatient hospital implant surgery is for patients who have special medical or anesthetic needs or for those who need extensive bone grafting from the jaw, hip or tibia.